Trauma is so different from other forms of "serious" illness in older adults, because it comes on so suddenly. You don't have any of those 4 classic archetypal trajectories (sudden death is the closest). You have sudden advanced illness. Implications are profound, from differences in the approach to advance care planning, to estimating prognosis, to the families emotional reaction, to having a breaking bad news and prognosis discussion all at once. One of the things where our geriatricians have been so helpful have been around the prognostic piece. Understanding their overall trajectory is so helpful in goal setting and decision-making, and it's something that we as surgeons are not at all trained or equipped to do. I'll tell you a lot of surgeons don't realize that dementia is a terminal diagnosis. I think there's a lot of education to go around, and it's a really important opportunity for partnership. I guess one other thing I would say is that we're not ... I think that a lot of the stereotypes persist and ... surgeons really care about their patients. I think that, particularly in the palliative care community, this kind of bogie of thirty day mortality, which I know is particularly relevant in fields like CT surgery and transplant, has really kind of clouded opportunities for collaboration and understanding between the two fields. We really do care about our patients and, sometimes, it's in a way that can be not patient centered. I don't think it comes from the wrong place, in most cases. I would really urge folks in geriatrics and palliative care to really look for opportunities to collaborate with surgeons. I am happy to help or discuss that with anybody in the audience. Alex: We have a wonderful guest today. 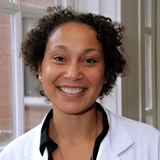 We have Zara Cooper, who is a trauma surgeon, critical care doctor and palliative care doctor, and is also Associate Professor of Surgery at Brigham Women's Hospital at Harvard Medical School. Welcome to the GeriPal Podcast, Zara. Zara: Thanks. It's a pleasure to be here. Eric: So, we start off with a song request. Zara, you got a song for Alex? Zara: Yes. I'm a huge Rolling Stones fan. I think they're under played and under appreciated these days. So, Alex, I would love it if you would play something from the Stones. Alex: Totally agree. You can't always get what you want, though. Alex sings “You can’t always get what you want” by The Rolling Stones. Zara: Thank you. Nice. Thanks, Alex. AHPM, last year at a conference. And our favorite line is, 'cause we're both, you know, we're palliative care docs, is "I sung my song to Mr. Jimmy. Yeah, and he said one word to me." And then Christian says, he just yells it, "And that was 'dead'." Ah, palliative care humor. So we want to talk with you about your fascinating mixture of fields here. You are one of a few people who are both surgeons and geriatics ... interested in surgery and GeriPal, geriatric and palliative care. So Zara, tell us how you got interested in geriatics, palliative care and trauma surgery. What an interesting mix. Zara: I think my interest really started during my critical care fellowship and, over the years, I have recognized that there's really been a dramatic increase in the number of older patients who are coming under my care. I did a palliative care fellowship at Dana Carver and what was interesting for me was when I was rounding on our patients with advanced cancer, I realized these folks look a lot like my trauma patients. A lot of that is because we have such high rates of frailty among our trauma patients, and our geriatric trauma patients in particular. I realized that there were lessons that I could learn from palliative care and geriatrics, especially around prognostication. You know, goal setting, symptom management, that would be really relevant to my trauma patients as well. Alex: So, so, paint a picture for us of what the patients that you're seeing, at sort of this GeriPal-trauma intersection, look like. Zara: So, I think it's no surprise to this audience that the number of older patients who are falling is rising. But, the folks who come to my attention are those that are more severely injured. So patients who have rib fracture, cervical spine fractures, traumatic brain injury, you know, and other internal organ injuries related to their falls will end up in the trauma service. The numbers of those patients are escalating rapidly. So now you have trauma centers like mine where, you know, either almost 50% or even over 50% of the patients on the trauma service are geriatric. And the vast majority of those are frail elders. Zara: Yeah. So, in folks, in places like Florida and Arizona, you have centers where the majority of their patients are geriatric trauma. And those number are increasing. And it's interesting 'cause actually the biggest burden is not being borne by the trauma centers, it's by the non-trauma centers and, acute care hospitals. Alex: Interesting. So, what are the needs and the barriers ... you're talking about, you alluded to this a little bit before about prognosis, symptoms, setting goals of care. Can you tell us a little bit more about what the, the sort of geriatric and palliative care needs are of this population? Zara: But for elder patients, it's twice that. So typically we're dealing with older patients who may have end-of-life issues that are actually related to their underlying health status, their frailty, multi-morbidity, as opposed to just the injury that they recently sustained. Alex: MOLST fbeing like the Massachusetts version of POLST. Zara: Identifying healthcare proxies, trying to figure out if advance directives even exist, discussing code status and certainly for, you know, surgery, many of those patients may have unstable fractures that might be amenable to surgery, but recognizing that that's a palliative procedure. And then talking about what their trajectory looks like. I've certainly encountered families that I've taken care of in the ICU where they've been shocked to learn on day six or day seven, "What do you mean mom isn't coming home?" Eric: I could only imagine that for trauma patients, the need to act quickly is also there. More so than we even see in cancer patients or other patients on palliative care or geriatric service. Is that right? Zara: Yeah. So, you know, I think one of the major challenges for surgery in general, for trauma and emergency surgery in particular, is that the time pressure is there and you feel need to act quickly, certainly if you're stabilizing somebody who is, you know, at risk of imminent death. There is certainly a need to act quickly. But, oftentimes you do have enough time to have some meaningful conversations with patients and their families. I mean, you have enough time to get consent for the surgery. So I would propose that, in fact, some of these conversations, if they're done well, can happen in a short period of time. One of the things that is a major disadvantage for us is that we don't have a longitudinal relationship with our patients and families. Zara: And it's really important for us to gain their confidence very quickly. So it makes a lot of surgeons and trauma clinicians very hesitant to start bringing in bad news, and discuss the adverse, possible adverse outcomes and poor prognostic outcomes for fear of taking away hope, but also not engendering confidence between the patient and their family. Alex: That's really interesting. The issue you raise, which is there is a need to sort of geriatricize and palliatricize, is that a word? Palliatricize trauma surgeons, and yet there are also some historic, cultural barriers, if you will, to that geriatricization and palliatricization. And there may be a role for a specialist consultative care from a geriatrician as you say, or from a palliative care physician. What's the balance there in terms of sort of steeping the trauma surgeons and geriatric and palliative care principles, and a role for specialist palliative care or geriatrics consults? Zara: Yeah. I think that's a great question and one that we're struggling with ourselves. I think there are a couple of issues. One is that obviously we know that there are not enough geriatricians and palliative care clinicians to go around. I'm fortunate to work in a quaternary academic medical center, but in most places these resources are just not available. And even within my hospital, we don't have a lot of geriatricians. So for those reasons, surgeons need to be able to do primary, what's been described as primary palliative care, much of which would really address the needs of this patient population. I think the other issue is that what many of my colleagues worry about is that palliative care clinicians are not as well versed in sudden acute, what [Rodney Tucker and colleagues] have described as sudden advanced illness, and are not so comfortable with such an urgent trajectory. Zara: So I think that there's a need for education on both sides, actually. Zara: For palliative care clinicians and geriatricians to meet the needs of this population. Because these are conversations that are happening kind of in real time, they're not an iterative process, you don't necessarily get to re-visit them over and over, but they do have to happen, and you have to do it within the timeframe that you have. Alex: The other tension it raises is, that you alluded to here, is this issue of in-patient versus outpatient. You see them in the hospital but those patients are gonna go on, many of them, to live lives outside of the hospital for some period of time. Who's gonna follow them? What's that continuity gonna be like? Who's gonna develop that relationship and see it through? Zara: That's exactly right. We struggle with that because those outpatient resources are, there's really a dearth of resources for palliative care and geriatrics. One of the things to keep in mind about this population is the vast majority of them don't have surgery. They really are medical patients with injuries, and so the trajectory is quite similar. Alex: That's interesting. So they may be on a trauma surgery service, but they may not have had surgery. Zara: That's exactly right. I mean, the vast majority of them don't have surgery. One of the things where our geriatricians have been so helpful have been around the prognostic piece. Because that's been really important. Because understanding their overall trajectory is so helpful in goal setting and decision-making, and it's something that we as surgeons are not at all trained or equipped to do. I'll tell you a lot of surgeons don't realize that dementia is a terminal diagnosis. I think there's a lot of education to go around, and it's a really important opportunity for partnership. Eric: What does it look like for ... so you maybe have somebody with multiple comorbidities, which there's been a lot written about with prognostication in those people, or with cancer, but for the trauma patient, how should we think about those patients and prognostication? Zara: Right. Well, many of those patients are the same patients because it's geriatric syndromes that put them on the trauma service. Zara: I mean, I think that's the first thing to realize. For a lot of these folks, why did they have burn injuries, for example? They have burn injuries because they forgot to turn off the stove. Or it's not even that they forgot, they didn't have awareness to turn off the stove. Why have they fallen? Because they've tripped over their walker. They have neurologic impairments like Parkinson's that have caused them to be unsteady on their feet. They have motor vehicle crashes because they've syncopized because of congestive heart failure and valvular disease. I think it's recognizing that a lot of these injuries really have a medical etiology, which is very different than the younger trauma patient population that we're used to. Alex: Are there any resources or online calculators to help folks? Zara: One thing that a handful of use in this surgical palliative care community have been doing is really been encouraging our colleagues to use e-prognosis. Eric: Shameless plug by Alex there. Alex: But I wonder if there are also disease, condition specific prognostic calculators for trauma. Zara: Well, there are, but they're mostly focused on injury severity, which we find is less relevant in this population. Even relatively minor injuries, like a mild traumatic brain injury, has implications in an older patient that it may not in younger patient. So even the trauma scores that are typically used are not so relevant. There are two resources specific for trauma that are very, very useful. One, actually three, one is the frailty ... I'm sorry – the trauma-specific frailty index, which is a modification of the Rockwood approach. It's a screen for frailty which has been shown to be very correlated to adverse outcomes. The other is the Geriatric Trauma Outcome Score, which uses a number of physiologic variables that really can be assessed in the trauma bay and within the first twenty-four hours to identify patients who are at highest risk of in-hospital mortality. Then the trauma quality improvement program, from the American College of Surgeons, is coming out with standards. I shouldn't say standards, I should say guidelines, that were compiled by an expert panel, including experts in palliative care, trauma surgery, critical care, and other related disciplines, really guidelines for palliative care of the trauma patient. Much of that is most relevant to the geriatric population. Alex: That's terrific. We can include links to those resources in the post that accompanies this podcast. Is the last report released? Zara: It's not released yet, but I will let you know as soon as it is. Zara: Alex, did I hit everything? Was there any calculator that you were thinking of that I missed? Alex: No. No. That's great. I actually didn't know, so it's helpful to hear there are some. Eric: When you think about goals of care for these individuals, do you have a structure of how you think about that or how you talk about patients? In particular, trauma patients? Zara: Yeah. I think that there are a number of issues really related to the time pressure around it and that it often is, as my colleague and dear friend Rachelle Bernacki has described it, as a "breaking bad news" conversation and a "goals of care conversation" all wrapped into one. Whereas in the kind of outpatient trajectory, those are different conversations that happen over time. I think the first approach is to really understand what the patient and family understand about their overall health, and then what their understanding is about the implications of this injury. I think that there's a lot better understanding among the public about the implications of a hip fracture, for example, than there is about a cervical spine fracture. I've often joked that this is the only country in the world where people think that and 85 year old can break their neck and be okay. Zara: Right? So doing some expectation setting is really important, and just making sure that everyone's on the same page with that. Then I think it's really understand what the patient's overall goals are, just as you would in almost any setting. And then talking about the goals specific to the injury or the surgery, and what we hope we can achieve. And then describing what various treatment options, including palliative care, which is a challenge for a lot of surgeons who don't understand what that means, but including just a comfort-focused approach would be, and then making a recommendation based on how those treatment options can meet the patient's goals and values. I think for a lot of patients, if we could be more up front with them about the implications for their independence and their function and pain, I think they may make different choices. Alex: Mm-hmm (affirmative). I'm hoping that there are folks who are developing or working on better techniques for treating the symptoms and improving quality of life for trauma patients so they can live each day as good as it can be and the emphasis there is on we have so much to offer you in terms of quality of life in this comfort-oriented approach. Is that the case? Zara: Yeah. No, it is the case. I think that one of the things that makes trauma, and critical care, but trauma a really perfect incubator for the marriage between GeriPal and surgery, is that trauma is, by it's nature, a multi-disciplinary practice. Unlike many other areas of surgery, where it's still the surgeon alone is the captain of the ship, in trauma, we lean more heavily on other disciplines, including, in many cases, anesthesia for critical care, for example. There are also structures and processes of care in place for quality improvement, and measurement, and standard setting that I think lend themselves really nicely to palliative care. The other thing about trauma is that we do care about the whole patient. As I said, most of these patients don't get surgery. Most trauma patients of any age don't have surgery. So, it's one area of surgery where were are also looking at function and quality of life and rehab. Where we've been doing it for the longest, I should say, and not just on geriatric patients. I think that there's a lot of overlap between what trauma surgeons do normally and what palliative care and geriatrics can offer. One of my goals is to engage, and part of the reason I'm so grateful that you guys had me on, is because I'd really love to engage more geriatricians and palliative care in helping us think about the best way to improve quality of life. I don't think we can do it alone. I think it needs a multi-disciplinary approach. Alex: And you mentioned quality and quality measures potentially. Are there ... I know in a lot of fields, like CT surgery, there is discussion about thirty day mortality rates. What does that mean in particular for palliative care patients where maybe they won't undergo specific surgeries because it may make a particular surgeon's thirty day mortality rates look worse? Is that a same issue in trauma patients? Zara: Right. It's so interesting that you say that. So, yes. I mean yes, trauma centers are measured on their in-hospital, primarily in-hospital mortality and many of the metrics that are common to surgery at large are relevant in trauma surgery. But, I think as in the rest of surgery and medicine in general, there really is a push to start thinking about how we can better consider the longitudinal outcomes with respect to function and quality of life and symptom burden. So there is work in the field to figure out how to do that. Not specific to geriatrics and palliative care. There are folks like Karen Brasel, who is an expert in measuring quality of life, longitudinal quality of life in trauma patients, who have come up with scores. So there are ways that we do this. But I think specific for the geriatric population, there are measures that are lacking. One thing that I will say is that we are about to come out with a paper, our group is about to come out with a paper, in a surgery journal unknown, really looking at the quality of end-of-life care among older patients who have severe brain injury and comparing high-mortality trauma centers versus all others. Or, I should say, low mortality trauma centers versus all others. What we found was that the low mortality trauma centers are actually more, are more likely to refer to hospice, have lower intensity of treatment, but also have better overall survival. So, the kind of historical surgical mantra of "you're killing my patient," actually what we find is that better end-of-life care, as we've found in other fields, does not equate with higher mortality. We're pretty excited about that 'cause we hope that'll help move the field forward. I guess one other thing I would say is that we're not ... I think that a lot of the stereotypes persist and we're ... surgeons really care about their patients. I think that, particularly in the palliative care community, this kind of bogie of thirty day mortality, which I know is particularly relevant in fields like CT surgery and transplant, has really kind of clouded opportunities for collaboration and understanding between the two fields. We really do care about our patients and, sometimes, it's in a way that can be not patient centered. I don't think it comes from the wrong place, in most cases. I would really urge folks in geriatrics and palliative care to really look for opportunities to collaborate with surgeons. I am happy to help or discuss that with anybody in the audience. Alex: How about just a couple words of advice how to do that? I think it sounds like the very first thing we should be doing is recognizing our stereotypes and how they actually may be wrong, and that we're all trying to do the best for the individual? Zara: Yeah. So, I think that aside from kind of recognizing the stereotypes, I think it's also recognizing gaps in knowledge and areas where palliative care can be particularly helpful. So I personally think the larger challenge to palliative care as a field right now is to really better understand how it can be relevant or most relevant to patients outside of cancer. I think that this syndrome of sudden advance illness is really an important one for the palliative care community to embrace and to figure out how to provide the best possible care to our patients who find themselves in that situation. I think that trauma surgeons, emergency medicine physicians and intensivists are perfect folks to partner with to really examine that. Eric: Well Alex, do you want to end us with a song? Alex: All right. We'll do a little bit more. Hi Dr. Cooper (and friends at Geri-Pal! ), I'm building a geri-trauma program in Washington, DC and would love some mentorship from your experience. My email is cprather@mfa.gwu.edu. THANKS FOR YOUR TIME! The podcast was great and I was so excited to see this topic covered. It's an area where my institution has a lot of interest, but we need some guidance on the details.